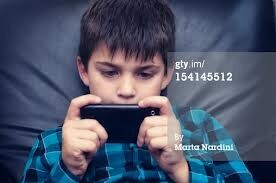 Recent survey says that most teens play online games and casual games while waiting for the bus. Either way kids experience diversity that they will never experience in real life and reality. This is important so that the children have more types of social interaction with people across the street around a block and maybe across the world. So all of these ways to message and compete all has to have some person to ruin the fun. that is a cyberbully. The positives of having this is you can play almost anywhere, but you might want to find out the internet password first. Some internet connections don’t have a password. 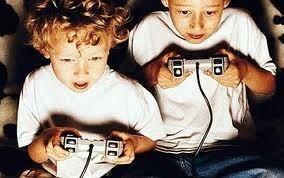 Kids can play without putting a password in so they can play anytime and, anywhere. Most of these are at restaurants waiting for their food to come and at schools. one of these places can also be at your house with a game console and a controller. Some games you can play for free and others you have to pay to play. Some of the free games you need a free account which you need to ask a parent or guardian to sign up for. some games. these games can be called free online games because you sometimes don’t need a account to play but the website usually uses a cookie to give you the same progress you have when you start to play. Sometimes you need a credit card to pay for some games a for that people need a credit or debit card to play. then for this people need money to do a lot of stuff for the game. the game might tempt the player to buy some stuff like crystals to get better stuff in the game. this can hook a lot of players and they could make some money for stuff you don’t need but if you really want this stuff. you need to ask an adult before you buy. still remember if you are a gamer make sure you don’t get addicted or you will not have a life to fall back on when end up losing everything and you quit. make sure you have real life friends that you talk to almost every day. remember to stay involved in real life sports and go outside.